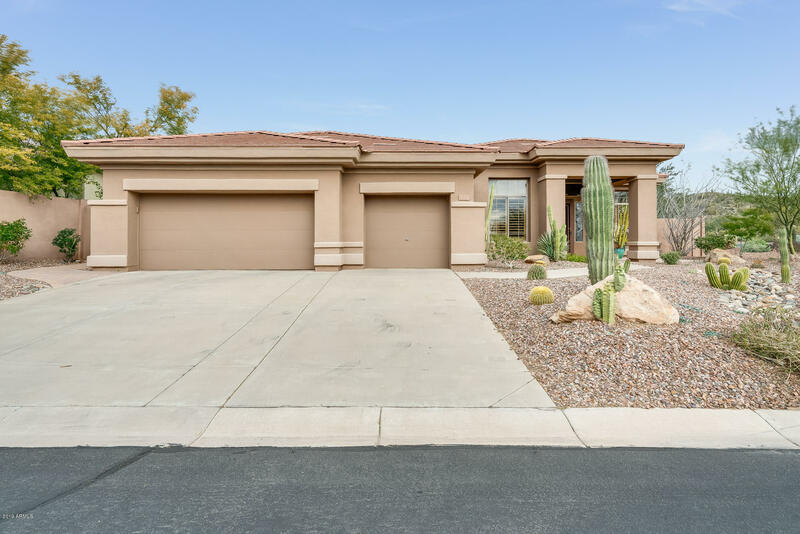 Stunning anthem home that backs up to the 17th fairway of persimmon golf course, with breathtaking views of daisy mountain! This fabulous 3 bed, 3. 5 bath home boasts gorgeous travertine tile throughout, a large eat-in kitchen with granite counter tops and tons of cabinet space! You'll love the open living room, perfect for entertaining! The master suite has excellent mountain views, a large bathroom with a separate shower and tub, double sinks, and large walk-in closet. Step out to the backyard that has a sparkling pool with a swim up bar and water feature! Perfect for relaxing on the warm summer nights! Don't miss out. Schedule your showing today! For more information or make an appointment to see property ID 5877631.